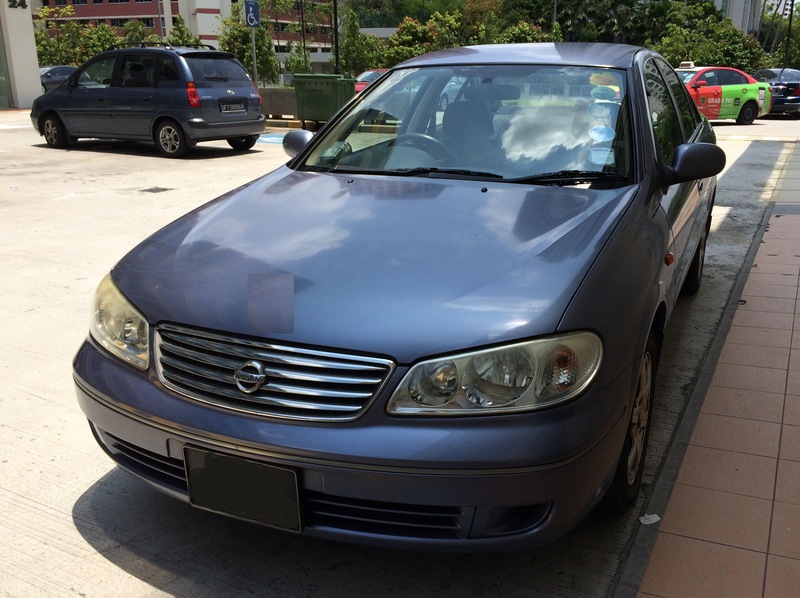 Goodbye Nissan Sunny! You have served us well. Today is the first day that my family is living without a car, after 16 years of owning and driving one. 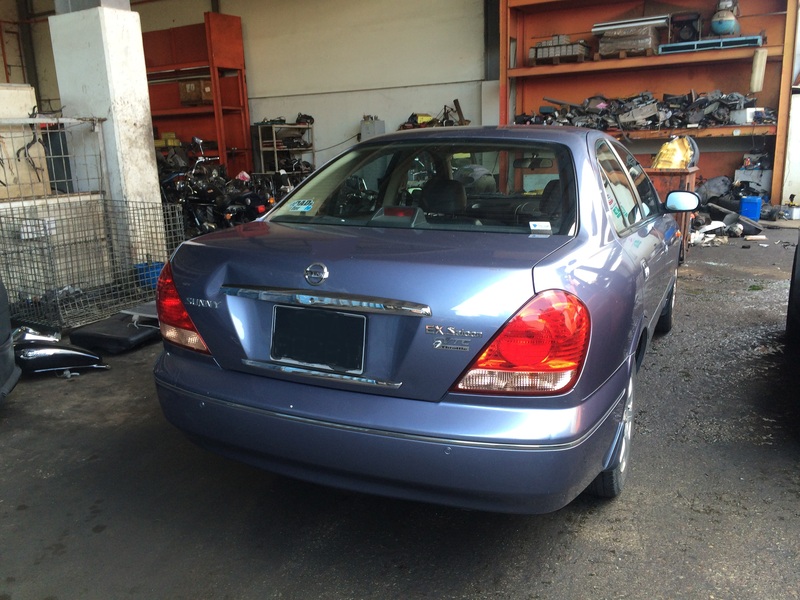 Our blue Nissan Sunny has served us well over the past 10 years that it has been with us. However, we have decided that we will not be renewing its expiring Certificate Of Entitlement (COE) for our vehicle, nor to purchase either a new or second hand car. As required by Singapore law, we have scrapped the car at a scrap yard. This car is our third sedan. I have been driving since 1998 when I first obtained my driving license. While we have encountered occasional incidents on the road (like this accident way back in 2007), our driving journeys have been pretty skirmish free. Let me go through the reasons why I am going car free. 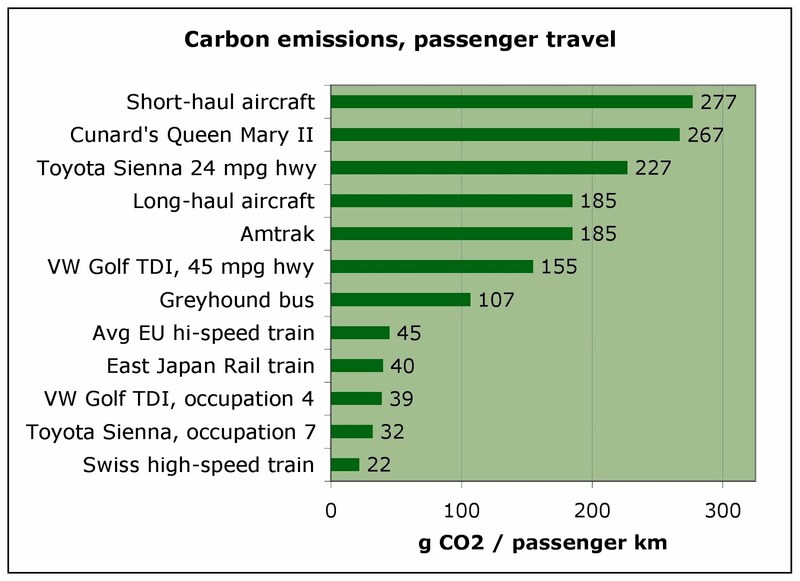 A car is a resource intensive way to travel. According to this report, making a new car leaves as large a carbon footprint as driving it on the road. There are lots of different components that go into a car. They include the digging of metal ores, extracting them to make metals, turning these metals into car parts, and so on. Other parts of the car include its rubber tyres, plastic dashboards, leather seats, paint, and so on. On top of that, cars have to be transported to various parts of the world for assembly, distribution and sale. Every step in the process requires energy. Beyond the manufacturing process, the usage of cars also gobble up lots of energy. And that leaves a huge carbon footprint. The other big environmental cost imposed by cars is air pollution. If you don’t believe me, just look at the staggering scale of air pollution in major Asian cities like Beijing, Hong Kong, Jakarta, Manila and Bangkok. A car doesn’t just give out carbon dioxide. It also emits the highly toxic carbon monoxide when the carbon in fuel doesn’t burn completely. A car also emits hydrocarbons – toxic compounds of carbon and hydrogen – as well as nitrogen oxides. When these gases rise in the atmosphere, they combine with sunlight to form ozone which can contribute to smog and cause respiratory issues. Beyond these gases, small particulate matter (remember the dreaded PSI?) of foreign substances are emitted by cars. The health impact of these pollutants are well known and include anything from asthma, heart disease, eye irritation, skin problems, to cancer. So not driving a car helps us to save the Earth (or at least a teensy weensy part of it). But the elephant in the room is definitely the financial cost of owning a car in Singapore. According to this article, it costs approx $365,000 to own a brand new BMW 316i over a 10 year period in Singapore. With that in mind, let us do some quick computations to determine what it truly costs to own and drive a car in Singapore. If we substitute this with the other “BMW” (Bus, MRT or Walk) here in Singapore, our monthly transport expenses could drop to about $200 (including say 4 or 5 “emergency” cab rides). This works out to about $2,400 per year or $24,000 over 10 years for local transport (versus $365,000). In other words, we would gain $109,351 instead of lose $341,000 over 10 years if we re-invest the savings from purchasing a car into a fairly low yield investment (like a CPF special account)! This works out to a net difference of $450,351. If the financial instrument could generate a higher return of say 7% per annum, the final value of our investment would be $504,000. The interest earned would then be $163,000, ie a net difference of $504,000 or more than half a million dollars! Half a million bucks can buy you a 4 to 5 room HDB flat (depending on location). That isn’t too bad a deal is it? We love living here in the Southern part of Singapore. Where we are, the city is just a 10 to 15 minute bus ride – be it Orchard Road, City Hall or Shenton Way. VivoCity, one of the largest shopping malls in Singapore occupying over a million square feet, is just three bus stop rides away. Chinatown is 5 to 6 bus stops away. Our home is also closely located to two major subway stations – Tiong Bahru MRT which is part of the East-West line, and Harbour Front MRT interchange which have both the North-East line and the Circle line trains. For my wife and I, we have the added flexibility to work from home, the libraries or other locations as our professions allow us to do so. We love nature. 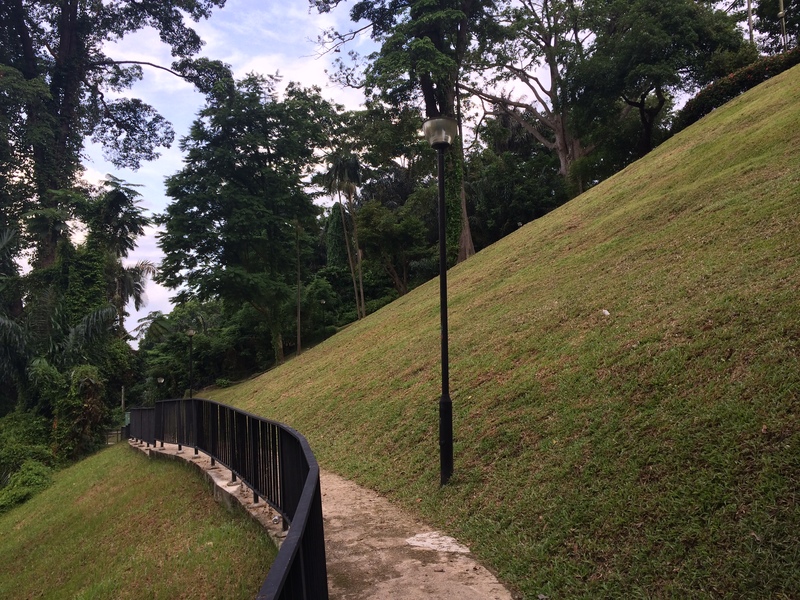 Where we live, we can jog or walk to the picturesque Southern nature areas of Singapore. I can actually see Mount Faber from my window (I’m peeking at it right now). I love to walk or run along the hilly forested area from Mount Faber to the Henderson Waves bridge to Telok Blangah Hill Park, the Southern ridges tree top walk, past Alexandra Arch bridge and down to the Hort Park. If my energy levels permit, I can even dash down to Labrador Park, past Berlayer Creek, through the seafront facing pavements of the condominiums at Reflections at Keppel Bay and The Caribbean, and back home via VivoCity. We can also walk to Sentosa if we wish (about 20 to 25 minutes). Honestly speaking, almost every location in Singapore is relatively convenient. All you need to do is to cater more time for travelling by public transport. Which brings me to perhaps the most important reasons. Driving in Singapore is a stressful experience. We don’t exactly have the best behaved drivers in the world. While the average Singapore driver may not be as maniacal as those from other Asian cities (which shall go unnamed), he or she is still quite a terror on the asphalt. The worst part of this is that I myself will transform from a genial Dr Jekyll to an obnoxious Mr Hyde when I get behind the wheel. Beyond that, the rising costs of Electronic Road Pricing (ERP) and parking also makes driving and parking increasingly untenable for me. Just ask yourself how often you have hurried your dining, shopping or errand running expedition to save on parking charges? Or felt that tiny little pinprick of pain whenever your cashcard reader “beeps” whenever you pass through an ERP gantry? The ticking timer of escalating carpark charges is one thing. There is also the paranoia of being caught by a carpark attendant (bless their souls) if your carpark coupon has expired or worse, you are caught parking illegally in a “Reserved” or “Season Parking” space. We are forced to walk (and occasionally run). This mini forms of exercise helps to boost our adrenalin and endorphin levels in the morning. We can learn stuff during transit. I personally enrich my mind by reading a book or listening to a podcast. We can dream and let our thoughts drift while watching the world go by, people watch, or meditate. We can do work, eg send emails, type Whatsapp messages, read through our documents, or mentally rehearse a presentation. We can play games or watch Korean drama serials (not something that I’d advocate, but….). …as it was a good and trusty companion. We spent many enjoyable hours exploring the different corners of Singapore in our car. Being nature lovers, we loved to drive to the far flung corners of Singapore – from Botanic Gardens and East Coast Park, to Macritchie Reservoir, Bukit Timah Hill, Gardens By The Bay and Changi Beach. Not having a car does bring about inconveniences. Those with young kids and elderly folks may find it less convenient to travel on public transport. Rainy days would also be a pain if you are going to an unsheltered area. We will also have to cater more time to visit my parents on weekends, or send our son for his swimming or tuition lessons. Having said that, the truth is that we were already traveling most of the time by public transport on weekdays. The only difference is that we would now extend this way of life to Saturdays and Sundays. It would take some getting used to, but we are confident that it would still be worth it. What are your views on living a car-free life? Is this a practical consideration here in Singapore? My car at the scrap yard. It will take about 4 to 5 hours to tear it apart for scrap metal. Farewell. LATEST: We were featured in TODAY Newspaper! We were featured in the press! 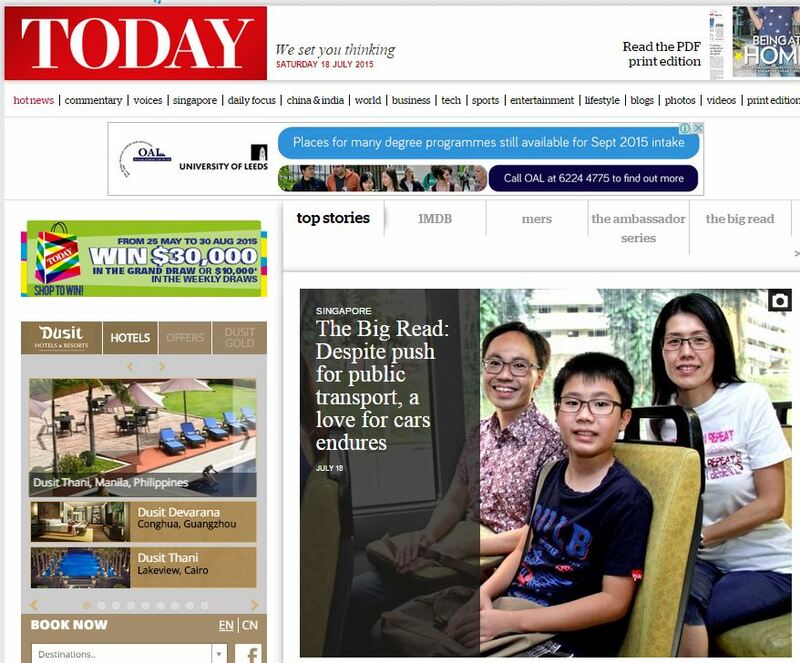 Thanks to this sharing, I was interviewed by TODAY newspaper and featured in a broader story on the pros and cons of public transport and vehicle ownership in Singapore. Check it out in the link here. Same sentiments. I’m scrapping mine in a few weeks’ time too. Which scrapyard did you go to? I drove my car to Sky Metal which is located at 7 Gul Road. This is near Pioneer Road. You can take a bus 257 (I think) to go to Boon Lay MRT/Jurong Point after that to get home. Great reflections. Your comments quoted below made me laughed, a little nice good closing to the article. Your experience is quite inspiring to go ahead without a car. My car is due for scrap in another 6 months. Feeling quite bad that I have to like without my loving machine. Well, I’m currently trying out my first weekend without a car. Took buses back home from my parent’s place last night. Not too bad I would say, but we were fortunate that the buses arrived just in time. Makes lots of sense, especially with the compact size and reasonably priced public transport of Singapore. We’ve never had a car ourselves while living in central Melbourne, and don’t miss it. i switched to 2 wheels instead, just to retain that convenience which we are all so used to, at least that is the affordable option for me. Sorry, not familiar with this scrapping car thingy. Does it mean you get $0 from the car after being scrapped? or what’s the percentage did you get back from the original price? Are you able to take any parts of the car for reselling them? In my case, I got $80 for the scrap metal and plastics at the scrap yard. I also get back my residual PARF (Preferential Additional Registration Fee)/COE of a few thousand dollars back from the Land Transport Authority. Unfortunately, my car isn’t popular and there is no resale value. 🙁 You can find out more at LTA’s One Motoring website here. Great sharing, I gave up my car and opt for a folding bike as my ma8n mode of transport since 2004. At that time, the main trigger for the change was health concern. I wanted to do a bit of exercise everyday to keep fit. Happy to say it has been the most rewarding “investment” I had made so far. I get back my health, keep $500,000 in my pocket instead of burning it away, motivated my friends to cycle to work and saved tons of CO2 from polluting our city. I am sorry for your loss buddy!! How I see it, car can be one of the worst expenditures an individual can have in this modern society. The situation is similar when it comes to real estate industry as well. People will prefer renting over buying or investing which is why my team and myself developed Roomz.asia, an easy room rental platform https://roomz.asia/. We trully believe this is the future of real estate industry as well as Uber and Grab are in Malaysia. Especially lately, I met more and more people who say it pays off more for them to uber to work than use their personal transportation.